On sale! 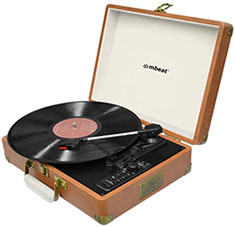 (normally $109) The mbeat Retro Turntable Recorder is a retro briefcase-styled USB turntable recorder that features built-in dual speakers, aux-in, aux-out and Bluetooth. 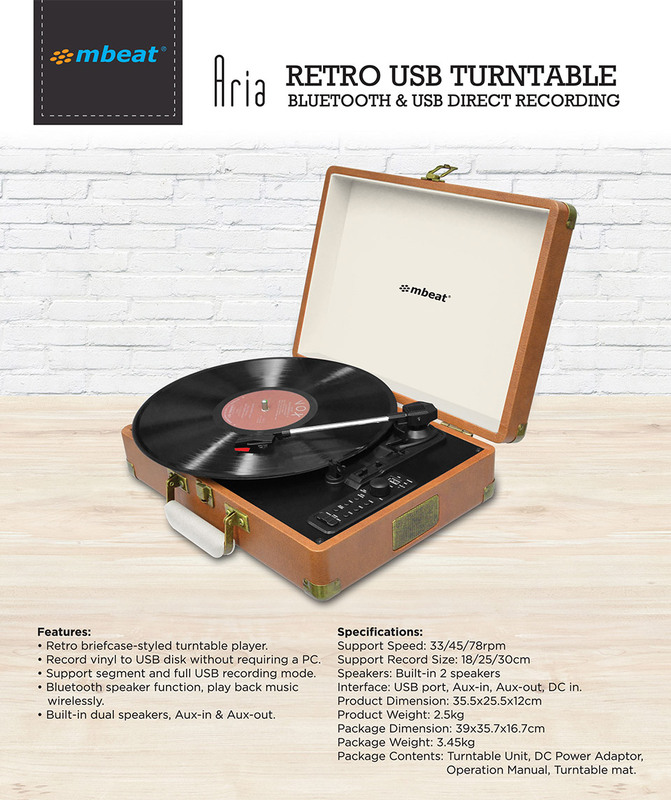 It allows you to record vinyl to a USB disk without requiring a PC and also supports segment and full USB recording modes. Added Bluetooth speaker functionality allows you to easily play back music wirelessly.